Need new design ideas for your home? The Carrocel fine furniture store in Toronto offers countless possibilities. 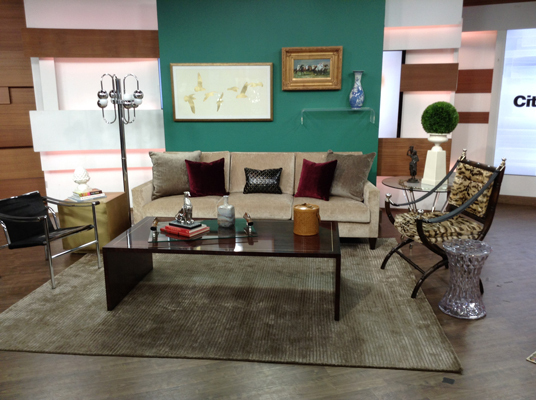 From the latest fall colour trends to stylish shapes and textures, it’s like being on a live decorating show. We have selections from all around the world. Come be inspired as you pick out unique vintage or modern furniture. Our knowledgeable showroom staff is always ready and willing to help. Updating the look of a home can be a difficult task, especially when you’re trying to find the perfect hues and co-ordinate all the aspects—furniture, wall colour and accessories. The good news is that the 2015 fall colour trend encompasses a broad umbrella of neutral, earthy tones with bold accent statements. It allows you to stay natural yet have fun and include a bit of fantasy. Here are some design recommendations from our home décor experts. Brown is the new black: Brown doesn’t have to be boring. 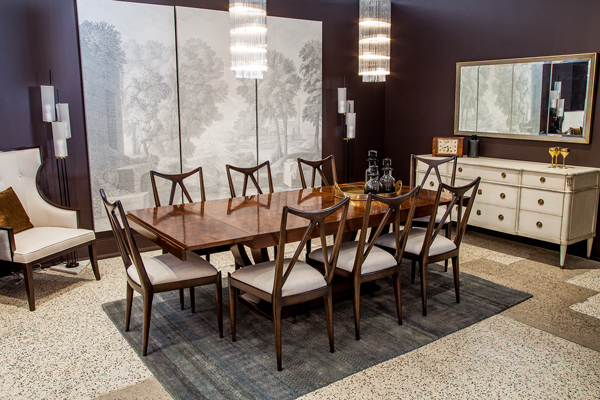 Stylish furniture and accessories can help you pull off a suave look. 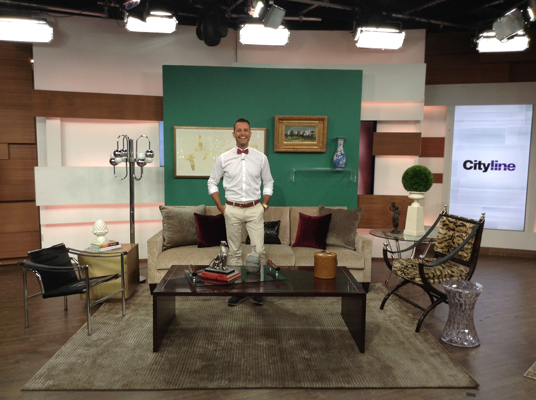 In this video, well-known interior designer Yanic Simard shows you how to make an impact with statement pieces from our modern furniture store in Toronto. His advice is to vary the shades and textures in brown and anchor it with black. Don’t be shy to introduce other colours as well. Use the natural tones of wood (which are often infused with different colours) in your room as a guide. Pair rich, dark woods with cool and chic upholstery colours. Pamper yourself with luxurious textures like velvet. It takes you to the top of the style index and creates a look that few will be able to replicate. You don’t have to be restricted by the finish or upholstery on our display pieces. At Carrocel, we will be happy to customize your piece to your taste. Add mystery and majesty to your bedroom: Give your bedroom a dark dreamscape. Add colour, layers and textures with linen and accessories. Shimmer and shine or white understated elegance, it’s all about you and your dreams. Up the style quotient with a mirrored accent piece. Mirrored furniture walks the fine line between vintage and modern. Give it an antique finish and it can become the focal point of your neutral-coloured room. Go green for a natural feel. Visually light and in tune with nature, this is one colour that has timeless appeal. French art deco or modern furniture; you can dress any style in shades of green. Wrap your modern furniture in deep orange hues. It works well to stay neutral with wall colours and create drama with furniture or accessories. It’s easier on the eye and helps bring interest to the room. Don’t be afraid to play around with textures. We are here to help you pull off the perfect look! Carrocel’s sprawling showroom has helped bring many dream ideas to life. 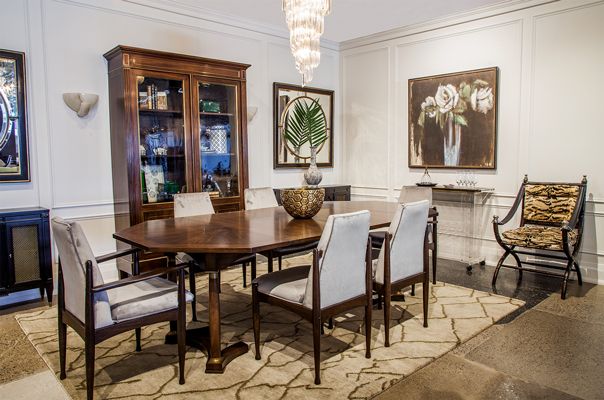 Our sweeping displays of high-end, original, custom furniture will both captivate and inspire you. We have selections from all around the world that can be customized to your personal style. What’s more, we are constantly refreshing our displays. You will see something new each time you come in. Take your time picking out your favourite, modern furniture. If you wish to discuss decorating projects or design ideas, we will be happy to chat with you in our showroom. For a wide range of genuine vintage and unique modern furniture, please visit our showroom today or call us at 416-999-2525.